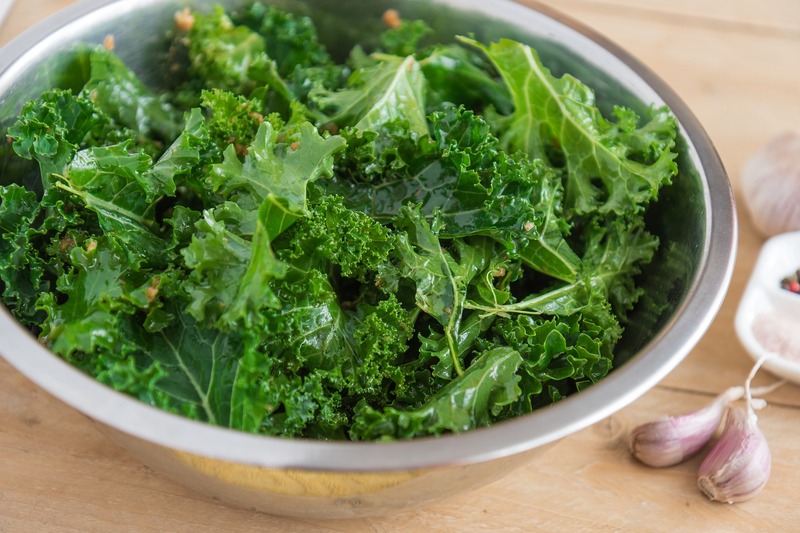 Kale crisps are simple to make and perfect for snacking on. 1 large bunched of kale, washed well. 1. Preheat the oven to 180 degrees Celsius. 2. After washing the kale, tear into small pieces and allow to dry. 3. In a small bowl, , mix the olive oil, salt, chili flakes, garlic, and pepper together well. 4. On a baking tray, spread the kale evenly, and drizzle the flavouring mixture prepared earlier over the leaves. 5. Using your hands, ensure the kale is completely covered with the olive oil mixture. 6. Place in the oven for 20 minutes or until golden. Turn over leaves half way through. 7. Remove and serve when cool.